The Ecesis® ISO 14001 Software Solution centralizes and simplifies compliance with the ISO 14001 requirements. Aspects and Impacts / Hazard Identification, Assessment and Contol - Manage your facility's aspects and impacts as well as associated control measures. Setup recurring review requirements to ensure invidual and department awareness and participation. Compliance Obligations - Identify, list and link your compliance obligations and compliance requirements. Objectives and Targets - Manage your facility's targets and objects as well as quickly track their progress and view those that have been historically accomplished or cancelled. Resources, Roles and Responsibilities - Manage group and individual specific roles and responsibilites. Document Control - Maintain documented information (such as policies, procedures and records) in one centralized location where they can be controlled and readily accessed. Competency, Training and Awareness - Centralize your training register, manage training completion documentation and even develop and host your own online training content. Communication - Centralize records associated with external communications as well as enter follow-up reminders. Monitoring and Measurement - Generate lists of equipment associated with monitoring and measurement requirements, as well as setup recurring tasks to ensure such equipment is properly maintained, inspected and calibrated. Nonconformity, Corrective and Preventive Action - Identify and document non-conformances as well as generate, complete and verify the effectiveness of associated preventive and corrective actions. Internal Audits - Manage internal audits and associated root cause investigations, and corrective and preventive actions. Amazing Support - Support personnel are available when you need them and are industry experts on ISO 14001 2015 implementation as well our EHS Software solutions. 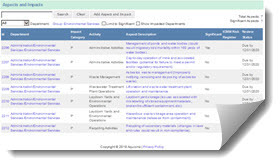 Our Environmental Management Software Can Help You! Risk Reduction - Proactively identify risks, reduce liability and ensure compliance. Compliance Demonstration - Efficiently demonstrate compliance with ISO 14001 requirements through one, centralized source. Standardized and Integrated - Ecesis® provides a solution for all of your management system needs, which increases your teams efficiency. Auditable - Easily demonstrate compliance with management system requirements with intuitive data retrieval and reporting functionality. 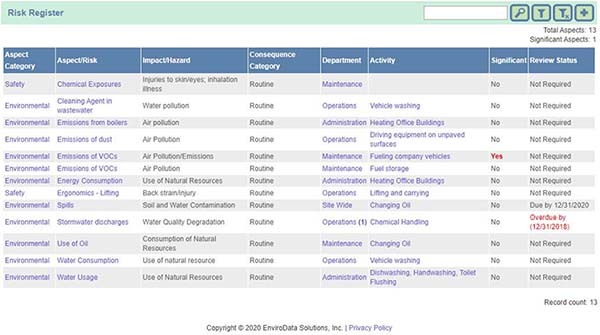 Rapid Deployment - Create your site&apos;s cloud-based environmental management system within a matter of hours (versus weeks or months). Cost Effective - Our EHS Management Software is less expensive than you might think; contact us to learn more! Please call us at 303-289-7520 or complete the form below to learn more about Ecesis® can help you obtain and maintain your ISO 14001:2015 certification.